Beatrice Remington has one great love in life. Fashion. When Bea followed her twin brother, Henry, and his ranching dream to Oaks, Texas after graduating from fashion school; running the local boot shop seemed like a dream come true. Bea has everything she wants in life with her thriving business and a budding collection of couture formal wear designs until she watches her brother fall in love. Bea realizes the missing piece to her happiness is the love of her best friend and secret crush, Al Bosco. After years of dancing around one another, Bea sets up a date with the town vet to make Al jealous enough to claim her. However, Bea’s plan backfires and leaves her alone in Oaks with nothing but one fake boyfriend, one broken heart and one wedding dress to design. Al Bosco has one great love in life. Al has spent his entire life as the third wheel to the Remington twins. Somewhere along the line, as Henry became his brother, Beatrice became the love of his life. Only he’s never had the courage to admit it out loud. When Al shunned the family business to become a ranch hand at The Waitin’ Ranch, he set off a chain reaction that ensured he couldn’t risk bringing Bea’s heart into the chaos. As he finally breaks down and returns to his hometown to make things right so he can give Bea everything she deserves; she walks in holding hands with the town vet and looking happier than ever. Al may have a bruised ego but he’s on a mission to win Beatrice’s love once and for all. When he finally returns to Oaks, will his girl still have a heart to give to him or will Al be left with nothing but regret? 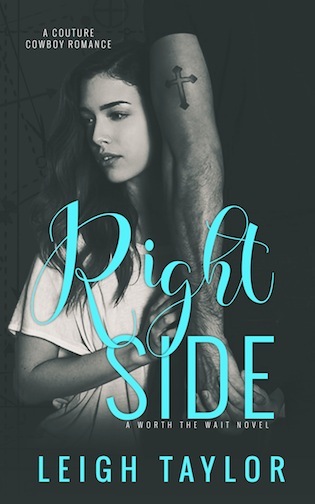 Can Beatrice and Al get on the right side before their love story becomes another scrap on the cutting room floor? Leigh Taylor is a native Texan who now calls the Windy City home. 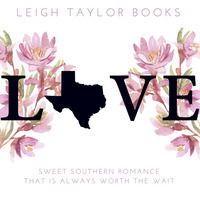 Leigh loves all things romance related including novels and classic movies. Her love of reading and Texas inspired her to begin writing and share her characters with readers everywhere. When she isn’t working or writing about cowboys, Leigh enjoys spending time exploring her city, playing with her pets and relaxing with friends over a cup of tea or whiskey.